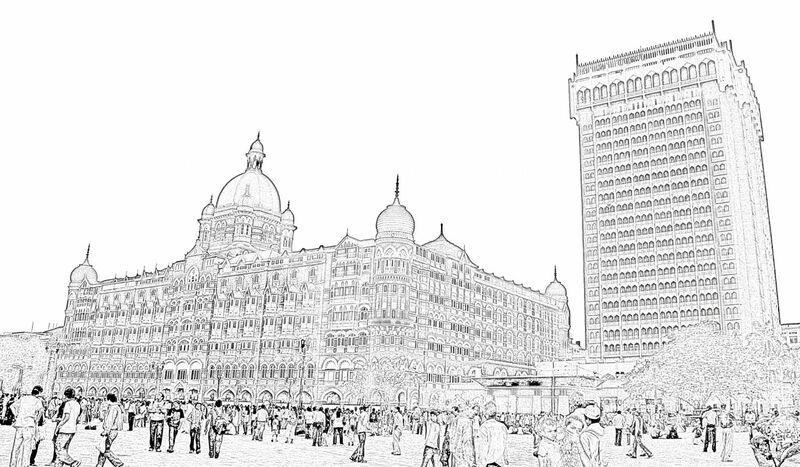 Here is a sketch of the Taj Hotel in Mumbai, a hotel which has become a landmark of Mumbai. Both the old hotel and the new wing of the iconic Taj Hotel have been represented here. 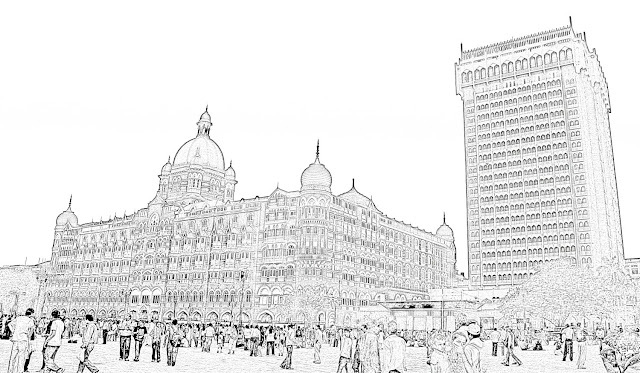 This hotel has become an icon of Mumbai because of the beauty of the old heritage structure. It is directly in front of the Gateway of India in South Mumbai which is a famous tourist spot. Here is a silhouette of the Taj Mahal Hotel in Mumbai, both the new hotel and wing and the old hotel. It is a black silhouette against a white background. 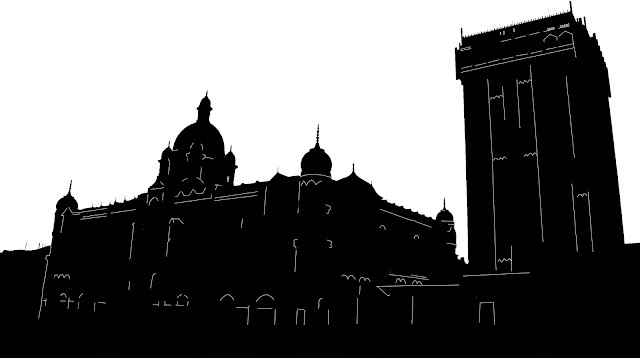 Another silhouette of the Taj Mahal Hotel in Mumbai, both the old and the modern structure. In this silhouette there is a background of the sky. 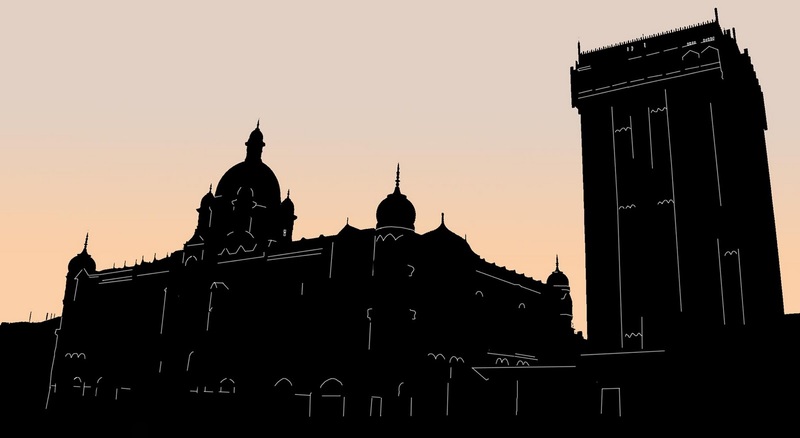 Try the label Silhouettes or the label Sketches for more silhouettes and sketches of people and buildings and monuments from different parts of the world.